Doorstep panel experts bring with them years of experience in their respective fields. After dealing with top brands, you can trust these trained professionals with closed eyes.During the process of integration by professionals, we proceed very rigorously after their verification. This increases the trust of the community towards users as they rent them. It Increase the safety for our customers.and ensure them they deal with the compliances. Quality comes first. It starts with the recruitment of high quality professionals and spare parts, when exchange is required, for transparency in the process. So that your confidence in us is 100%, we offer insurance protection for our services. The duration and amount of insurance vary from one service to another. It is said that quality is invaluable, but with Doorstephelp you can make your products not only competitive but also give you maximum value for your money.  At the end of the booking process, you will receive a confirmation and then prepare the scheduled time to discover the professional touch of Doorstephelp.